NASHVILLE, Tenn. (WTVF) — As Nashville continues to grow larger, some developers are thinking – smaller. David Latimer is the CEO & Founder of New Frontier Tiny Homes. He’s developing a tiny house hotel on Riverside Drive in East Nashville. 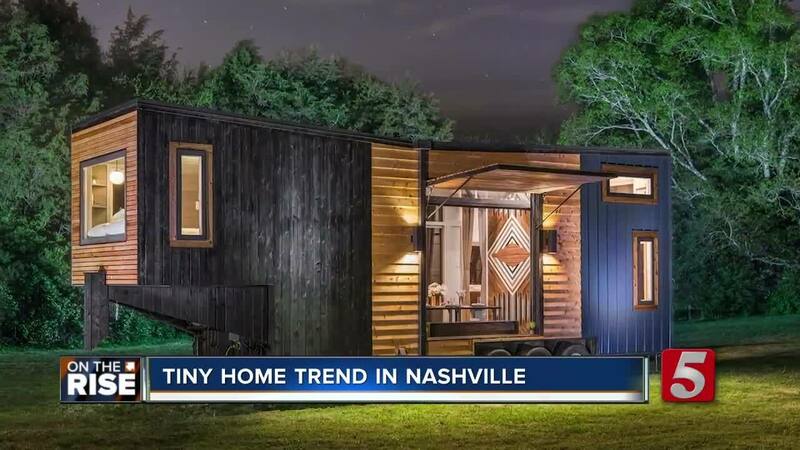 “There will be without absolute certainty nothing like this in Nashville,” he said, “This project is a joint venture between New Frontier Tiny Homes and Paragon Group. They’re one of the best quality builders in Nashville,” he said. His homes range from 250 to 400 square feet. Latimer says the tiny home trend draws on many different ideas. “Sustainability,affordable housing, intentional living. Cultivating a life of experience instead of stuff and status,” he said. The hotel will help introduce newcomers to the tiny house space and hopes the finished product will help others see the big picture. Previous PostIs a tiny home right for you? Next PostWalmart’s new mattress brand built a $100,000 tiny home that you can buy. Take a look inside.